Tutors are very good! Facilities are excellent! I had an excellent experience and now I am applying for my next level here. Everything went great, I passed my course and will plan to go ahead with the next level in the future. The tutor was great and helped me. I will miss him! I enjoyed my course. College atmosphere is amazing! I am really satisfied with how everything was and the training was really good. The course helped me to learn a lot, I am planning to go to university. This course is very useful for my future. It was a very good and helpful experience! My knowledge has greatly improved. Enjoyed the course and I improved my confidence. I would probably go onto further education. VERY satisfied. Enjoyed the course. Completely satisfied with the course and the teaching method. 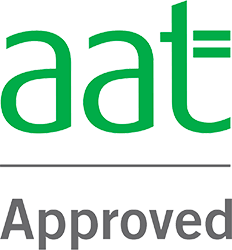 The AAT study will help me to pursue a career in accounting. The college staff is very approachable and you can contact the staff anytime. Teaching was very good. The staff is very helpful and supportive. Really very good and supportive. The course is very useful for my future. I have searched new friends.